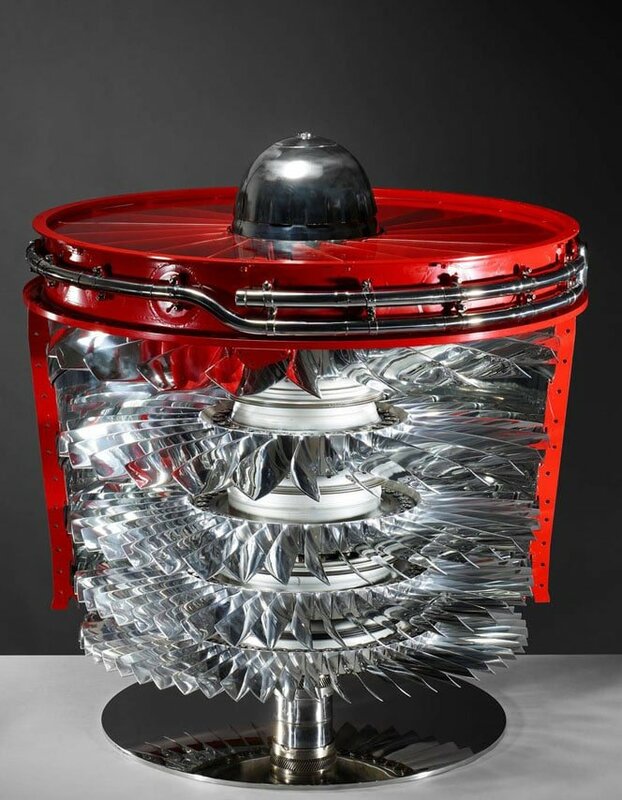 The epitome of style and elegance, Rolls Royce genuine assembly parts are at the heart of this stunning object. 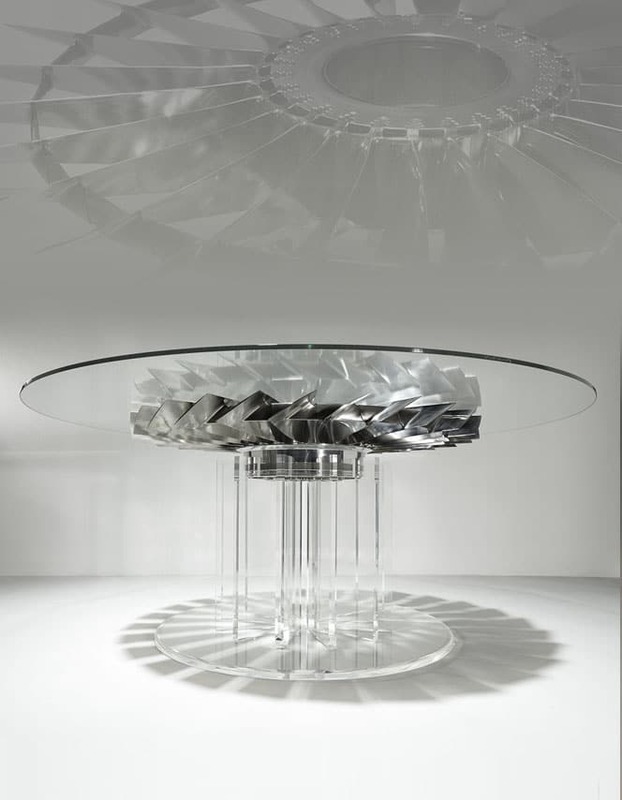 Absolutely beautiful dining table with polished fan blades, assembled on original hub. 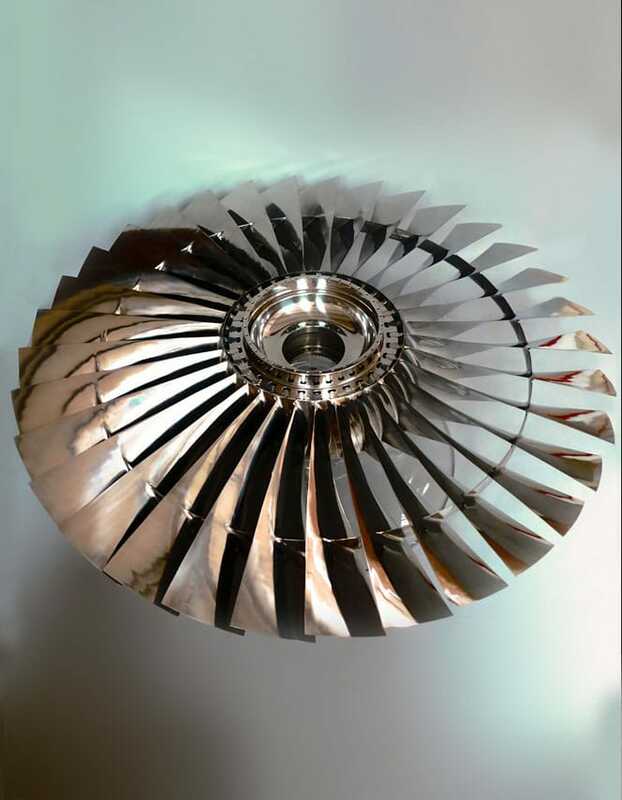 Hundreds of individually mirror polished titanium blades mounted with its original centrifugal impeller fan. 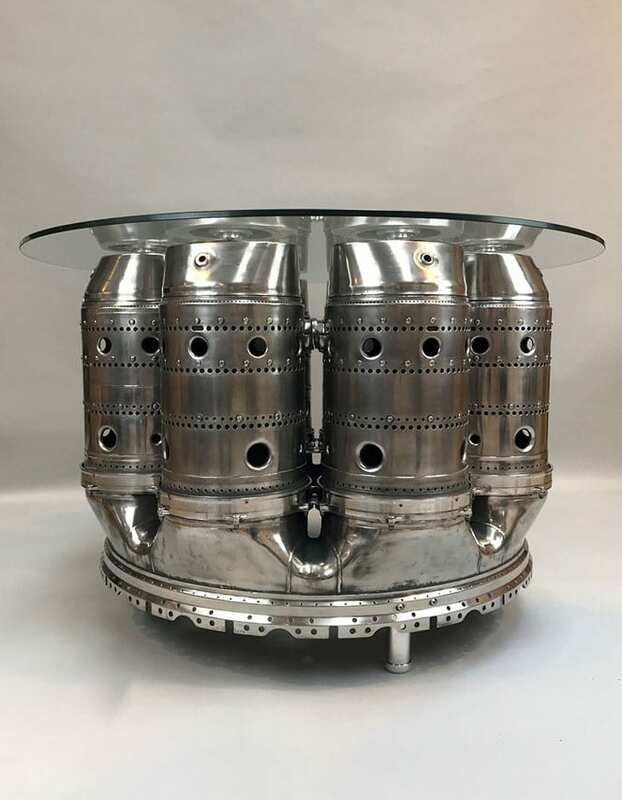 A very unique table created with the burner can section from HMS Bristol. 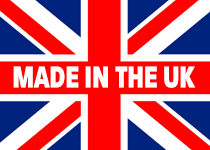 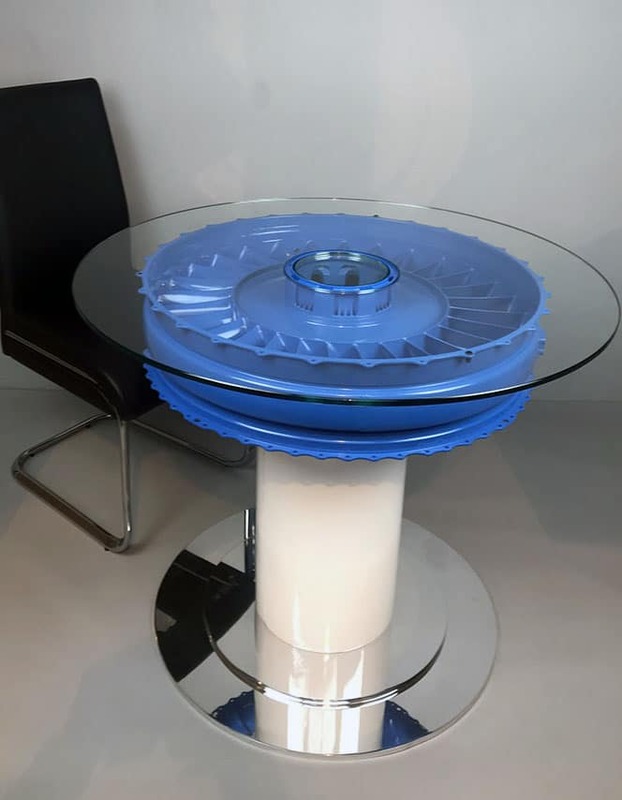 Practical and unique which a variety of options The white base can be finished to any colour of your choice. 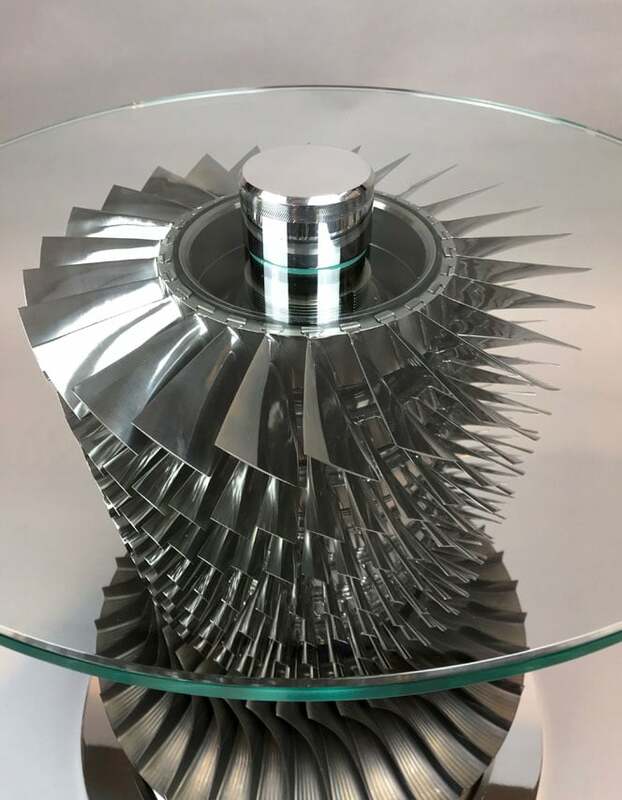 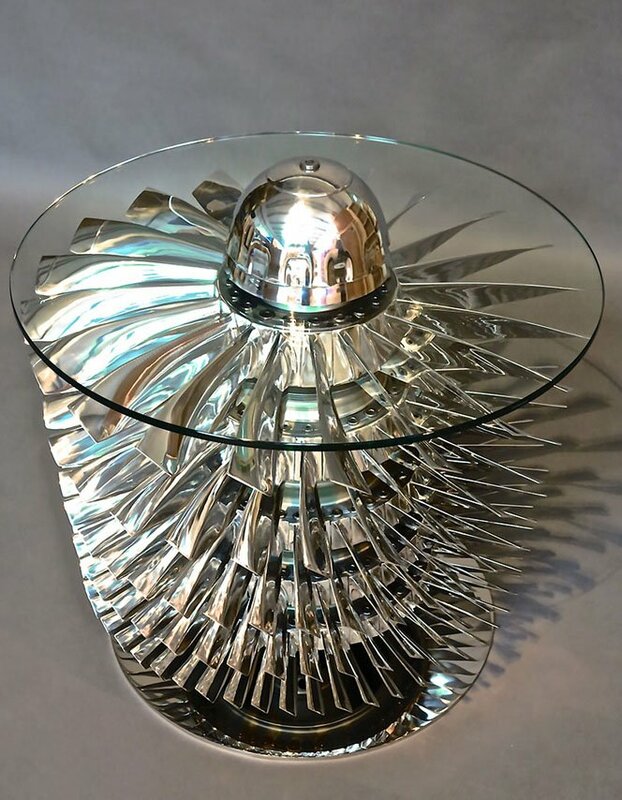 Absolutely beautiful dining table with polished titanium blades, positioned on top of a perspex base.